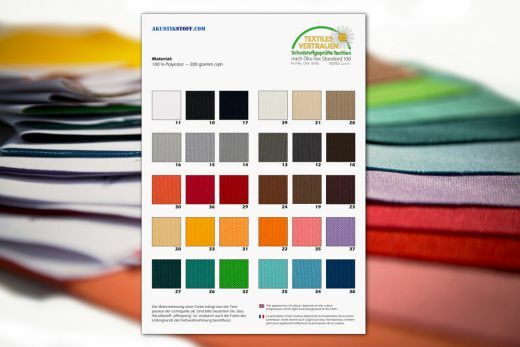 Choose the perfect colour match with this reasonable set of sample swatches of or specially designed Acoustic Cloth 2.0! The sample swatches are also ideal to experience the hydrophobic and flame-retardant properties of this unique speaker fabric first-hand. The swatches are approximately 4” x 6” in size. The set contains speaker cloth swatches in all available colours and comes free of shipping costs. Set of sample swatches of our unique Metallic Line acoustic cloth in Gold, Rose Gold, Silver, Copper, Brass, Antique Bronze, Steel Grey, Steel Blue, and Aluminium. Free shipping.